We've had a while to play around with Face ID on the iPhone X, and during this time we found out that it doesn't always work as it's supposed to. 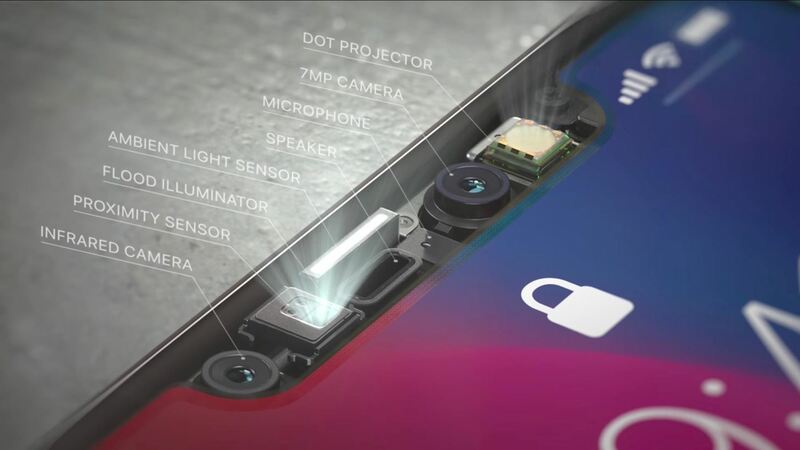 However, Face ID will scan your face on the first try almost always once you utilize some or all of these tips, which also apply to the iPhone XS, XS Max, and XR. The new TrueDepth camera system is located in the black notch at the top of the screen, so make sure to keep this area clean of residue and dirt. Obviously, if something is obstructing the TrueDepth camera system from doing its job, Face ID won't work as well (or at all). 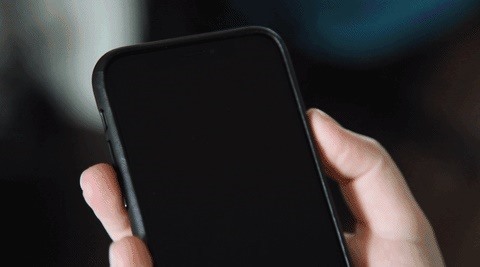 "Require Attention for Face ID" is a specific iPhone X, XS, XS Max, and XR setting that prevents Face ID from unlocking your iPhone until you face it directly. The setting needs your full face — eyes included — in order to unlock your device. It also won't work as well if you're wearing sunglasses. While Face ID is relatively consistent, at least in certain conditions, this setting may occasionally give you some grief, as with the aforementioned sunglasses example. Disabling it allows your iPhone to unlock even when you aren't looking directly at it, decreasing the chance of failure. Disable it in the "Face ID & Passcode" settings (passcode needed). Warning: Know that without this attention-detection feature active, someone might be able to unlock your iPhone by pointing it at your face while you're not looking (or even when you're sleeping). Face ID works best when your face is the only thing to focus on. The TrueDepth camera system sends 30,000 infrared light beams onto your face to identify you before unlocking your iPhone. This works well where there is a greater contrast between your face and your surroundings, such as being indoors or even in the dark. When your face can be the focus, you'll find the most success. Where you might run into trouble is outside in bright sunlight or in buildings with certain lighting conditions, where the camera will have trouble differentiating you from the surrounding objects or lighting. If it's sunny outside, make sure that the bright sun is not directly behind you. If you're having trouble unlocking your iPhone X, XS, XS Max, or XR with your face, try adjusting the distance. Apple claims the optimal distance for Face ID to work is 25–50 centimeters, or 10–20 inches. You may have to change the way you're used to holding your phone, but the trade-off is worth it. Face ID's 30,000 infrared light beams work best when they are hitting a stationary target. If you're on the move, it's going to be harder for the system to recognize your face, and, as such, it might take multiple attempts to get your iPhone X unlocked. For optimal results, don't move — but you won't have to stop for long since Face ID feels as fast or even faster than Touch ID. If Face ID fails on you, don't reposition your face to try again. Instead, type your passcode to unlock your iPhone. Your iPhone will then save the failed face attempt to your profile, granted you've passed a certain threshold of face matching. If done correctly, over time, you should notice Face ID failing less and less. Sunglasses and Face ID might not make the best pair. Some sunglasses seem to work fine with Face ID, however, if you have a particularly dark pair, you might be stopping those IR light beams from "seeing" your eyes, which will result in a lockout. Consider pushing up your shades for a second while unlocking your iPhone — you can resume being cool directly afterward. Or, go back to Tip 2 above and disable "Require Attention for Face ID" and see if that helps you out with your favorite pair of sunglasses. In iOS 12, you can add another face scan to your iPhone's biometric database. You can scan a different person's face if you share the iPhone with someone else, but you'll likely just want to scan your face again under different conditions when Face ID has trouble acknowledging your face, such as when you wake up, when you're in bed at night, or when you're wearing your favorite hat or sunglasses. Registering a second face is easy; Just tap "Set Up an Alternative Appearance" under the Appearances section. For more information, check out our full guide. The passcode hasn't been used to unlock the device in the last six and a half days and Face ID hasn't unlocked the device in the last 4 hours. If the device's battery is below 10%. If none of these tips have helped you use Face ID more efficiently, it might be because of a bad scan when first registering your face. In that case, you'll want to try re-registering your face. So, go to "Face ID & Passcode" in your Settings app, enter your passcode, then tap "Reset Face ID." From there, just go through the normal steps to set up Face ID again. Have you seen any good Face ID tips in your news feeds? Let us know in the comments below!